Sichuan: Yajiang Xian. Between the cities of Yajiang and Xinduqiao off highway 318 between km markers 2919 and 2920. Meadows, steep banks at edge of highway and shrub thickets of Quercus and Potentilla. 30°3'58"N, 101°19'48"E; 4240 m.
On steep slope among herbs below road. 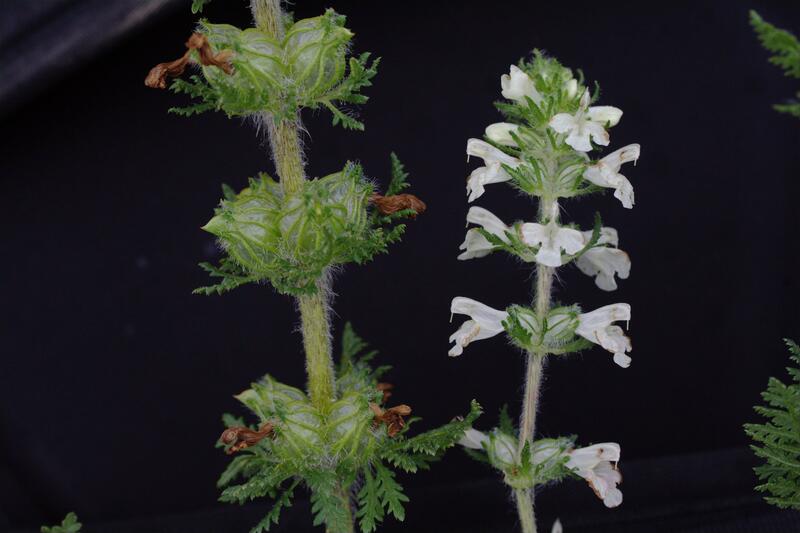 One plant split to make two specimens; corolla white.